Work for AdEspresso by HootSuite? 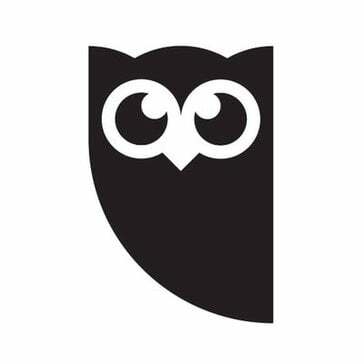 Learning about AdEspresso by HootSuite? "Makes work a lot easier"
first and foremost i have to mention the free trial option from adexpresso, without which i wont even be willing to try the platform first. after the trial period, i got really excited by the quality of service provided and decided to stick with them. the service makes advertising via social platform so much easier. one of the biggest advantage you get with adexpresso is that it supports multiple social media platforms including Facebook, Instagram and Google advertising. you just have to connect your ad account with the platform and you're good to go. creating ad campaigns is so easy here, there are so many options to customize them and optimize for the best experience. the easiness here also help you with experimenting with a variety of advertisements and see which one works best. once the advertisement is live, you can get a deep insight into the campaign which includes the clicks, likes, views etc timely. the analytics result also includes beautiful virtual aids for interpreting the data with ease. the insight includes tips too which help you see which campaign isn't running well and optimize them for better ad performance. report exporting is also great here and you can get the analytics data into PDF with a single click. it is also really easy to create dynamic ads with adexpresso which is one of the most powerful advertising tools. the pricing can be a burden if you're just starting and even the basic package will cost you $49 a month. the support is based on the premium tier which is really frustrating. well for starters the service can be a little costly but if you can afford it, i highly recommend this service for your ad campaigns. Adexpresso is a tool to manage your Facebook and google advertisement campaigns. What i likes best is the Campaign optimisation and split testing available. These two are the main factors as to why we chose adespresso. Gone are the days of using Business Manager to create ad after ad inside of a campaign to ensure you have multiple ads that you can test. Adespresso is simple, you can ad up to 50 ads in your ad set, simply ad a headline, text, images or call to actions when creating the campagin and Adespresso will automatically create all the ad sets for you. Further to this, when split testing, you will be able to optimise your campaign when enough data is available. Adespresso makes it clear as to which ads are performing and which are failing and will promt you to pause, change or stop specific ads depending on which you have split tested. The one thing we dislike is the reporting system. When the reports are generated, you can ad such great information to inform clients of all aspects of their campaigns, but some ads cannot be synced if you have used Ads Manager, meaning the ads wont appear in adespresso and you cannot generate a report on. And if you try to copy a report, it can overwrite the template you are trying to use. Maybe introducing a lock feature would solve this. But apart from that, clients love the level of detail we can go with our reports. If you want to split test without the hassell of having to create different ad sets one at a time, Adespresso is the product for you. Simply click and ad headlines, images, text, CTA's and it will autmatically create the different ads. Adespresso ads the benefit of managing multiple ad accounts all in one place. Having several clients with different ad accounts, ad espresso makes it easy to run ad campaigns, split test, optimise and monitor many ads at the click of a button. "Perfect tool to create ads"
I like AdEspresso because it helps improve the potential of the ads and constantly monitor all the budget spent to control everything easily. With this tool it is very easy to manage each campaign and it is the perfect complement for companies and people who constantly make marketing announcements. Many of the functions that the tool has to optimize the ads are not intuitive, which hinders its use at first. For all those people or companies that want to take better advantage of their ads this is the perfect tool. AdEspresso has helped us to manage all our ads on different paid traffic platforms such as Facebook and Google Ads. With this tool we have improved the segmentation of each ad to reach the largest number of people interested in our products. "Be careful of their sneaky small print"
Poor performance all around to be honest, some good results, however poor taste left after the ethics shown by this organisation, and their treatment towards small business. Customer Service was terrible, We signed up for a 12 month agreement at a discounted rate, however we found a better platform towards the end of the term, so we stopped all of our campaigns. Next thing we know, that have billed us for a 2nd year subscription which we did not agree, or sign up to, nor did Adespresso/Hootsuite contact us to gain feedback before rolling the 2nd year on. The handling of this by customer service, and the refusal to refund this payment has been appalling, so basically we did not use the platform for 1 day of the 2nd year subscription, however they feel they have the right to bill us for a 12 month subscription. Appalling ethics for a HootSuite business. Do not use, they are sneaky with their terms, and have a policy of they DO NOT REFUND! Their contracts are rolling, even if you have your campaigns paused or cancelled, if you cancel your account, you pay the full term. They do not send receipts or invoices, so better check your bank account! disgraceful ethics for a company bleeding startups of hard earned cash that is needed to continue their journey. Awful Customer Service, Misleading contracts, Refusal to manage customer customer complaints, and just hide behind small print, and a policy that the don't do refunds! What a joke. Adespresso offers a good optimization of each campaign and a conversion tracking. This is a very simple tool, we have been able to add a lot of ads in your panel, simply add a title, text, images and Adespresso will automatically generate all the sets of ads for you easily and quickly. Best of all, Adespresso details what ads are being effective, and will tell you to stop those that are not performing well. Really the reporting system could be a little better. We have had several synchronization failures with the ad manager, which obviously prevents the reports from being generated. To create different sets of ads, Adespresso is a tool that can make your life easier. Thanks to Adespresso we have managed several ad accounts in one place.We can manage different ads between different people, which facilitates the execution of advertising campaigns, and the monitoring of many ads easily and simply. "Good Tool. TERRIBLE customer support"
It gets the work easily and it's very effcient. Save you time doing A/B Testing. Intuitive to use, but lacks some mobile development, essential in this age. Got a problem? No body is going to help you, and I'm serious, NOBODY IS GONNA HELP YOU. They never answer emails, support tickets take months, etc. Money refund? Nope. Got a problem with the a password, you fb ads account, etc? Not going to help you. Literally, nothing. One of the worst client support I have ever experienced. What I like most about AdEspresso is the optimization of the campaigns and the tests that can be done for each one. Among similar platforms on the market AdEspresso is very easy and intuitive to use with a large number of options available to improve each announcement. The platform has many advanced options that for people who do not have advanced knowledge in the creation of marketing campaigns can be completely useless. AdEspresso makes it easy to test ads created on different traffic buying platforms. With this platform we can increase the performance and optimization capacity of many ads at the same time. "AVOID THIS COMPANY AT ALL COSTS"
Nothing, it is a complete waste of money and after looking there are far better platforms out there who actually care about their customers and answer support questions. Signed up for 1 yr and its the worst thing I have ever done. They NEVER reply to support questions and therefor unable to use Adespresso fully. Not only that but they don`t practice what they know to be both the correct and professional way to respond to facebook comments. yet when I commented on a FB post they have just blocked me from commenting even though I am a paying customer. AVOID AdEspresso like the plaque, they are ridiculous and you will receive zero support especially if you pay for a year in advance. WORST platform I have ever used. I have had zero benefit as they don`t answer any support questions. The business problems AdEspresso are solving are ZERO, instead they have caused nothing but problems, time and expense. Their support is dreadfull, all they are interested in is signing you up and taking your money, after that you are on your own. Exactly what i likes best is the Campaign optimisation and split testing available. These types of two are the key factors as to why we chose adespresso. Gone are the days of using Business Manager to create ad after ad inside of a campaign to ensure you have multiple advertising that you can test. Adespresso is simple, you can ad upward to 50 advertising in your ad set, simply ad a headline, textual content, images or call to actions when creating the campagin and Adespresso will automatically create all the ad sets for you. Further to this, when split testing, you will be able to optimize your campaign when enough data is available. Adespresso helps it be clear as to which advertising are executing and that are failing and will promt you to definitely temporarily stop, change or stop specific advertisements depending which you have split tested. The one thing we detest is the reporting system. When the reports are produced, you can ad such great information to inform clients of most aspects of their campaigns, but some advertisements cannot be synced if you have used Ads Manager, meaning the advertisements wont appear in adespresso and you cannot produce a report on. And if you try to copy a report, it can overwrite the template you are trying to use. Maybe introducing a lock feature would solve this. But apart from that, clients love the level of fine detail we can be with our reports. If you need to split test without the hassell of having to create different ad sets one at a time, Adespresso is the product for you. Simply click and ad headlines, images, text, CTA's and it will autmatically create the various ads. Adespresso advertisements the benefit of managing multiple ad accounts all in one place. Having several clients with various ad accounts, ad espresso makes it easy to run ad promotions, split test, optimise and monitor many advertisements at the click of a button. "Perfect complement for create ads"
With AdEspresso we can improve the potential of the ads and perform better conversion tracking and audience interaction. AdEspresso is a tool that is easy to use, its interface is vety clear, it does not need a guide to learn how to use it which improves the user experience. The customer service takes time to answer the questions, I had to wait up to a week to receive an answer. In general AdEspresso is very effective in improving the productivity of the ads and improving the conversion ratio. We use AdEspresso to increase our number of clients and expand our brand in other cities in the country where we have not covered the market. "Make announcements on Facebook efficiently"
What I like most about AdEspresso is the ease of optimizing the campaigns created on Facebook. It is really easy to optimize each campaign to reduce the cost per interaction and try to reach as many people as possible. The cost of the tool may be a bit high for people or companies that have a tight budget. I recommend the use of this tool for independent companies and also for large companies who want to reach more people. AdEspresso has helped us to manage multiple ad accounts in one place. Because we have a wide marketing team this tool makes it much easier to manage each account individually among the work team. "Helpful Facebook Advertising Platform Enhances Ad Setup "
Building multiple ads at one time were a breeze. AdEspresso allowed any user to create A/B Tests on a grand level. With the click of a couple buttons, you could have A/B/C/D/E tests within one campaign. There really wasn't anything I disliked about AdEspresso. It is a sound platform. AdEspresso allowed users to create Facebook advertisements quickly and easily. I was amazed at how fast I created my first 4 ads! "I use it everyday and it saves me hours"
The interface is incredibly user friendly for all the core functionality. Some of the more advanced functionality isn't quite as intuitive. I still haven't figured out how to use some of the features. It makes it dead simple to create all manner of split tests on Facebook ads. I test things I would never bother with via fb's ads manager interface because it would just be too cumbersome there. "Makes Facebook much more powerful!" If you like running detailed tests, pouring over feedback data, and developing strategies based on detailed analytics, Adespresso is something you need to check out. Honestly, not much. I'd like to be able to edit the default settings for building new campaigns, but that's just a few clicks. Adespresso is the fastest way to see exactly whats going on in your FB ads, what's working, what isn't, and navigate between clients, campaigns, etc. More specifically, it allowed me to develop a new and effective targeting strategy to replace some of the partner categories that facebook removed in August. The software makes multivariate testing easy. The problem is that if something goes wrong, and no less than 6 issues arose connecting my accounts, some of which has never been resolved, all you can do is email back and forth with their seemingly limited staff. Questions were handed between people, often creating duplicate responses that didn’t work and no follow up. It is very clear that they expect this to be automated and if it doesn’t work for you then to hell with your account. They are looking for quantity not quality at all. I am able to communicate with clients for smoothly by sending them customized reports and ad campaigns for pre approval. This allow me to keep my Ad campaigns between many clients organized. 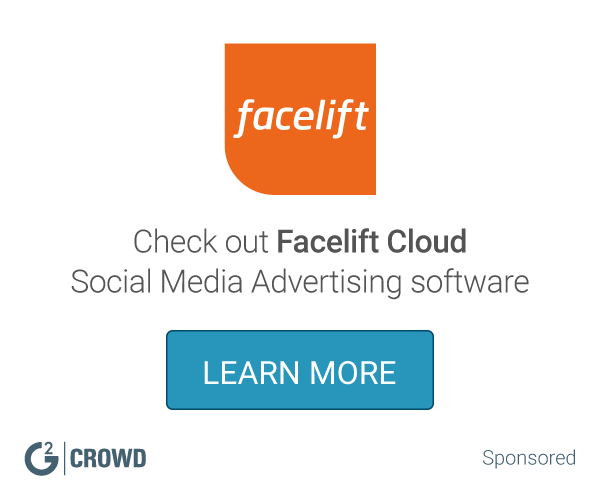 This ad Campaign tool is very limited on the social platforms they provide service on. Only Instagram and facebook is listed on the platform. Pinterest & Twitter advertising would be a great addition. Ad Campaign is great since I have multiple clients and need to manage on a platform that I use for content scheduling and analytics. "Really Good and User friendly"
AdEspresso was really good. made my facebook ads come out looking more attractive and i noticed more hits to my ads, also analysing my ads hit and all was much easier using AdEspresso. Would be nice if the improved their customer service and ad doesn't work on all campaigns so will be nice to fix those things. It's ad database and dayparting campaigns that have a daily budget and it promotes my shop. "So happy with the time savings!" Easy to create multiple ads with multiple targets. What would normally take ages even with a spreadsheet is done in seconds with AdEspresso. Would be great to have more control over AdWords ads. If you've only ever created ad manually, try AdEspresso; you'll never go back to manual ads again. Able to create and manage multiple ads with mutiple targets with ease. Incredible time saver. "AdEspresso by Hootsuite Leaves Ad-Making Softwares in the Dust"
I love the many different options available for design options. Social media management was already a perk, but AdEspresso takes Hootsuite to the next level. Generate leads and learn the in's and out's of Facebook advertising. Not much to dislike! Sometimes the software gets a little wonky, but nothing too major. The major benefit is ad creation. AdEspresso gives excellent guidance and support for marketing needs. I love that it is easy to navigate - there are numerous tutorials available and help always available to make improvements to your advertisements. They provide a professional voice that helps navigate the application and cater the best towards your audience. I dislike the pay per evaluation basis ad workings. It is a professional standpoint and perspective on B2B, C2C, B2C marketing strategies for consumers that you might not necessarily know completely. The market is wide-ranging but Ad Espresso helps you narrow down the most important aspects that are most appealing. They just add Adword to the platform which makes it much more useful. Being able to do Facebook/Instagam and Adwords from the same place is a strong tool and saves times. It can be a little clunky at times but they do work on it. The customer service needs help. They take a long time to respond and then not always as you requested. It is worth trying out to see if it meets your needs. Doing Adwords and Facebook from the same platform saves me significant time. Ad creation and building is much faster when using this program on top of regular Hootsuite. Not sure yet. I"m still playing with features to see what it does and doesn't have. Need to spend less time on creating ads. It's a much easier platform to create and manage your FB ads than the actual FB ads manager. The design seems a little amateur. There always seems to be something that you can pay extra for. It would be nice to have those kind of things included. Definitely give the free trial a shot. We can publish many variations of the same ad and have Adespresso to the optimizing for us. It saves us a lot of time. I love how easy it is to use to update all my companies social media accounts at once. We are taking our social media presence to the next level. I like using Adspresso for their analytics and their easy to use function. I just wish it were a tad bit faster, the bandwidth is slow. * We monitor all AdEspresso by HootSuite reviews to prevent fraudulent reviews and keep review quality high. We do not post reviews by company employees or direct competitors. Validated reviews require the user to submit a screenshot of the product containing their user ID, in order to verify a user is an actual user of the product. Hi there! Are you looking to implement a solution like AdEspresso by HootSuite?